The Emirates also aced well-being indicators such as "Full-time Employment Ratio" and the "Payroll-to-Population Index"
What makes expatriates happy in the UAE? Dubai: What makes the UAE a big draw for people from around the world? 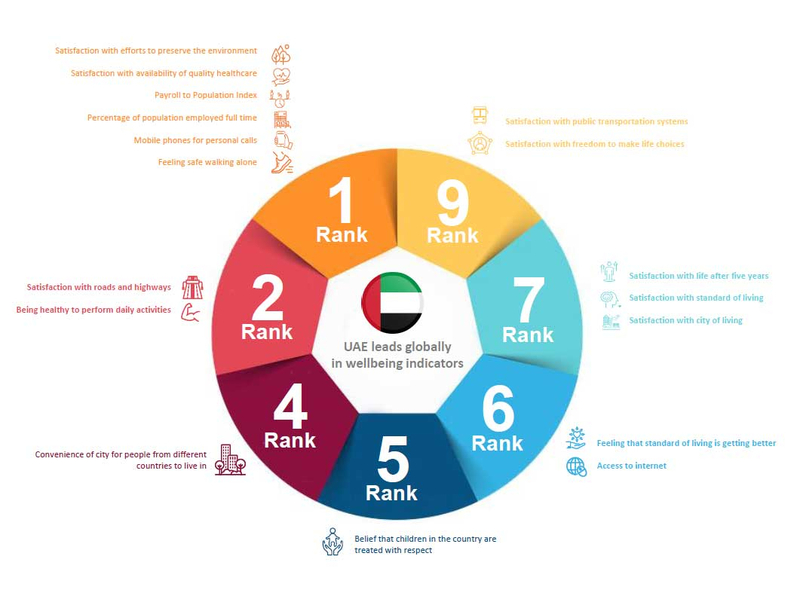 Breaking it down into various parameters, or "domains" — safety, quality healthcare, paytoll-to-population index, communications, quality of roads and highways, preserving the environment, freedom to make personal choices, among others — a global well-being survey placed the UAE among the Top 10 in the world. 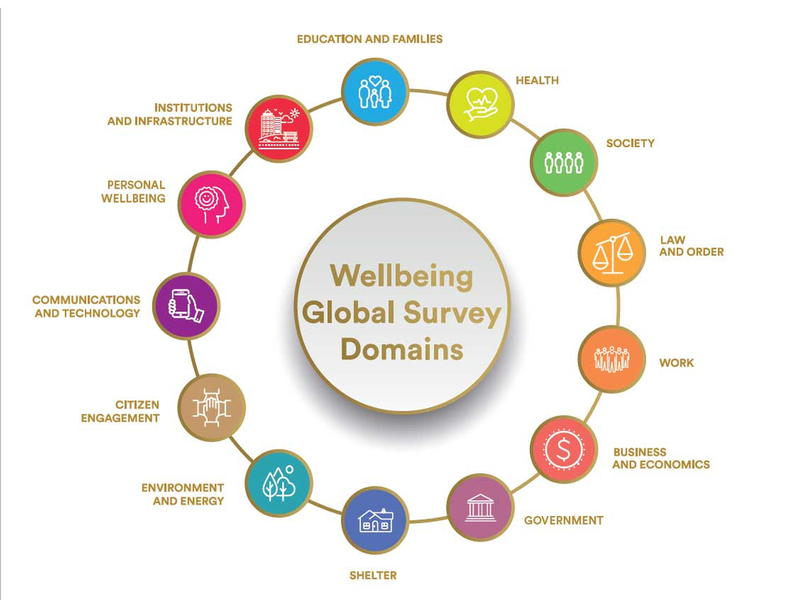 Gallup's 2018 World Poll ranked the UAE based on key well-being indicators, which tracked the opinion people in 160 countries have on what matters most to them. 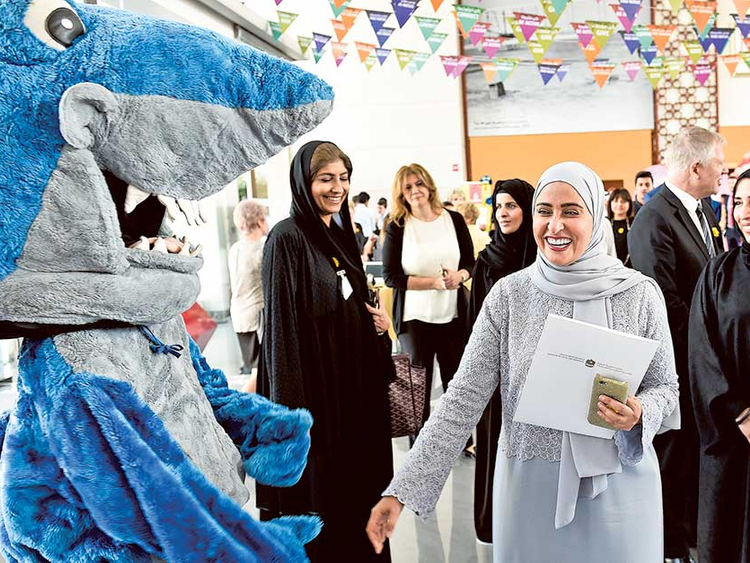 Ohood Bint Khalfan Al Roumi, Minister of State for Happiness and Wellbeing, and Director General of the Prime Minister’s Office, affirmed that the UAE's advanced ranking on the indicators reflects the country’s focus on enhancing well-being across all sectors. Al-Roumi highlighted the efforts of all government, private, community and academic organisations in the UAE as being the driving force behind this achievement, which reflects the vision and directions of the UAE leadership. The UAE topped the "Availability of Quality Healthcare" metric globally, moving to the highest rank from last year when it came in second. This reflects the continuous efforts by the country's leadership to develop this vital sector. Being ranked first in Access to Mobile Phones, and Feeling Safe Index, confirm the UAE's leadership in enhancing safety and security for all. Efforts to preserve the environment also confirms the government's important role in responding to climate change challenges and protecting the environment. Meanwhile, the "Full-time Employment Ratio" and the "Payroll-to-Population Index" reflect the UAE’s leadership as an attractive environment for minds and talents from around the world. The "Absence of Health Problems" indicator refers to health problems would prevent individuals from performing daily activities. This reflects the advanced levels of healthcare in the UAE. The UAE came in fifth on the belief that children in the country are treated with respect, which confirms the country's continuous efforts to care for children, promote their safety and ensure a better future for them. The "feeling that the standard of living is getting better", reflects the sustainable growth of the UAE’s economic sectors; while "access to the internet" indicator, which confirms the advancement of the UAE's technological infrastructure. "Satisfaction with life in five years" reflects the respondents' optimism for the future while "satisfaction with the city of residence" reflects the high quality of living standards enjoyed by individuals in society. The annual Gallup World Poll is conducted in more than 160 countries, and includes 13 main domains which cover vital sectors that directly affect people’s lives, including: education and families, health, society, personal wellbeing, work, business and economics, government, food and shelter, environment and energy, citizen engagement, communications and technology, law and order, and institutions and infrastructure. It is the state of being comfortable, healthy, or happy. Also known as wellness, the condition of an individual or group. A high level of well-being means that, in some sense, the individual's or group's condition is positive. The Gallup World Poll tracks the most important issues worldwide, such as food access, employment, leadership performance, and well-being. Since creating the World Poll in 2005, Gallup has conducted studies in more than 160 countries that include 99 per cent of the world's adult population. The Gallup World Poll includes more than 100 global questions as well as region-specific items. Gallup asks residents from Australia to Zimbabwe the same questions, every time, in the same way. This makes it possible to trend data from year to year and make direct country comparisons.